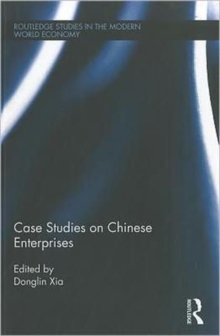 This book is a collection of teaching cases on two Chinese companies, UFIDA and Founder. The cases describe the management practices of typical Chinese companies. UFIDA is a well-known company providing management software while Founder is a long-established high-tech company. The book aims at providing readers with original, first-hand materials, based on a theoretical framework, and broadening readers' vision regarding China's business niche in terms of culture, strategy, corporate governance, business environment, organizational dynamics, marketing, human resource, finance and the potential business partnerships with Chinese enterprises and the Chinese people. The cases are comprehensive and descriptive. This book appeals to top executives and leaders of multinational companies with ambitions to expand or already vested business interest in China. It is also of valuable use to companies specializing in international trade. The book provides insight into the great business opportunities in the development of China.